Coppell freshman Ryan Agarwal keeps an eye on the ball on Tuesday Jan 22 at CHS arena. The Coppell Cowboys lost to the Lewisville Farmers 71-57. He is the youngest on the team, but at 6 feet 4 inches, one of the tallest. 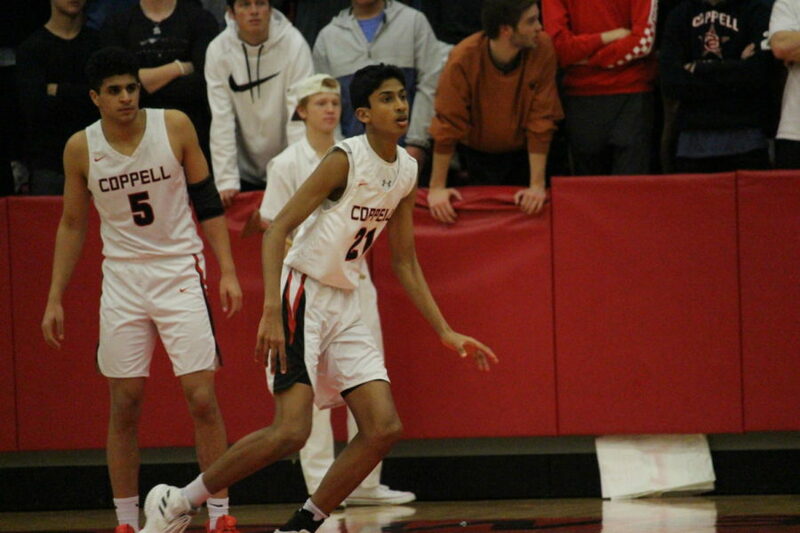 Coppell High School freshman Ryan Agarwal fits right in with the juniors, seniors and one sophomore on the boys basketball varsity team. In fact, the older players have allowed him a space to get better as an athlete. It is not just the players, though, and Agarwal does not fail to mention his coaches, whom he names some of his top influences. 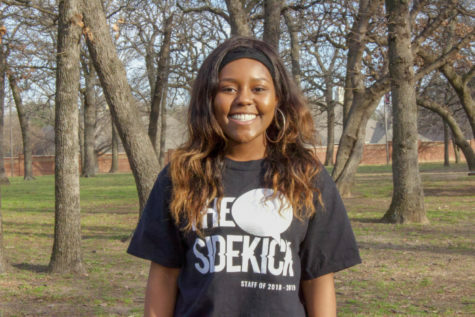 Aside from basketball, Agarwal’s time is mostly occupied by school. From a few hours every morning and every evening, Agarwal’s life revolves around playing basketball. Whenever he’s not doing that, he’s doing homework. In second grade, his parents put Agarwal in every single YMCA sport. Basketball is just the one that stuck, but it wasn’t until middle school that he really became passionate about the sport. That was when he first started playing for an Amateur Athletic Union (AAU) basketball club, a national youth sports organization. Now, he finds basketball takes up most of his free hours. 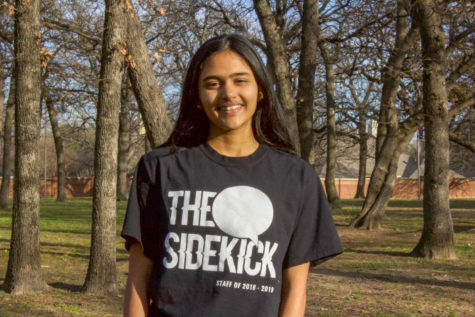 “Whenever he needs to relax or wants to do something he’ll go and play basketball,” junior Rashi Agarwal, Agarwal’s cousin, said. It is this passion that drives the determination Agarwal has for the sport, which he says is one of his defining qualities. “He’s shown himself to be a hard worker, passionate about the game of basketball, supportive of his teammates and just has a real job to be successful,” Schnell said. Schnell knew from the moment he saw Agarwal that he was varsity material. Agarwal thinks of himself as more than just a player, though. No Indian has played in an NBA game before (other than Sim Bhullar, who played for Canada and is the only player of Indian origin to play an in NBA game), and Agarwal wants to break the stereotype against Indians playing sports. Budding star. Wish him all the success and fulfill his dream.